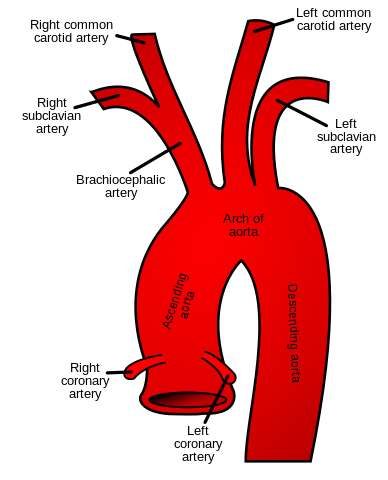 We've learned that the left ventricle chamber of the heart pushes the good oxygenated blood to all the parts of your body, and the big tube leaving the heart is called the aorta. The aorta starts by going up toward your head, and then it turns and goes down towards your belly area. The part where it is going up is called the ascending aorta. The word ascending means going up.